There are many great running workouts that will help you get ready for your goal race: speed work, tempo runs, and others are all great. But, the race simulator workout, as the name suggests, is one of the best workouts that you can do to get ready for your race. So what are the benefits of race simulator workouts, and what exactly is a race simulator workout? Keep reading to find out! What is a Race Simulator Workout? In a race simulator workout, you run over half of the distance of your goal race at your goal pace. For a 5K, this could be as simple as doing some long repeats at 5K pace or running two miles at goal pace. For the marathon, it’s a much longer ordeal. 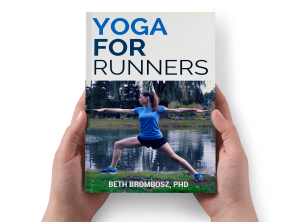 For example, in their training plans in Advanced Marathoning (affiliate link), Pete Pfitzinger and Scott Douglas have athletes run anywhere from 8 to 14 miles at goal marathon pace. They start with 8 miles at goal pace earlier in the training cycle, gradually working up to 14 miles at goal pace at the peak of the training cycle. The Hansons Method (affiliate link) uses a lot of goal pace running, too, although the Hansons brothers call them tempo runs. In the training plans in their book, they include weekly goal pace runs, working up to 10 miles in length. They’ll have their elite marathoners work up to 16 miles at goal pace, which is a very tough workout, but also very effective. 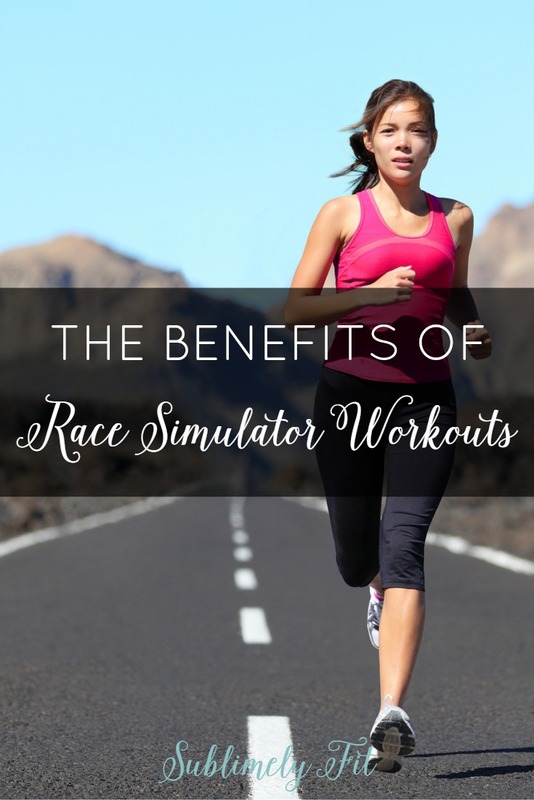 What are the Benefits of Race Simulator Workouts? Learning what your goal pace feels like. If you’re going to hold your goal pace for an entire race, you’d better know what it feels like to run at that pace. Running at race pace helps you understand how your legs and body should feel at goal pace, how quickly your feet should be hitting the ground, and even what your breathing should feel like. When you intimately know the feeling of running at your goal pace, you’ll be able to hold it on race day without constantly looking down at your GPS watch to see if you’re going too fast or slow. You’ll pace yourself better. When you learn what your goal pace feels like, you’ll be better at holding that goal pace throughout your race. This is true both at the start of the race, when your legs feel fresh and you want to run faster, and at the end of the race, when your legs are tired. Pacing is the key to a good race, so anything you can do to help you pace yourself better is a huge step toward meeting your time goal. Your body gets used to goal pace. The only way to get better at something is to do that thing, repeatedly. So, if you’re including goal pace running regularly in your training, your body will get better at goal pace running. Running at your goal pace will start to feel easier, too. Getting a trial run. The Hanson brothers bring up a great point in Hansons Marathon Method. They point out that a major benefit of running race simulator workouts is the ability to test out what you’ll be doing on race day at race pace. This is true for fueling (can you really choke down those gels while running at race pace?) and gear, too (chafing, anyone?). Confidence. Being able to nail your race simulator workout can really improve your confidence in your abilities and your fitness. I distinctly remember the of my first marathon, knowing that I’d nailed my final race simulator workout as well as a tune up race. I knew in my bones that I was ready to run that sub 4-hour marathon. That confidence gave me a huge mental advantage as I was running my race. There was never any real doubt in my mind that I was ready to run that race, which made it so much more likely that I was going to hit my goal. 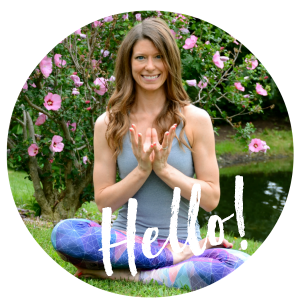 I hope you’ll try throwing in a few race simulator workouts in your next training cycle! I don’t do race simulator workouts, but I do lots of tempo running to get into that half/full marathon mood. So beneficial. Absolutely! It’s all about learning to hold a faster pace for a longer period of time.